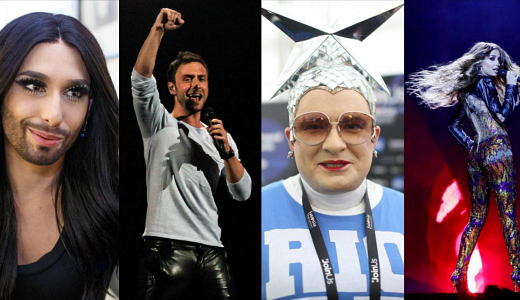 Former Eurovision stars are set to hit the stage as guest stars of the 64th song contest in Tel Aviv. At the end all four artists will join Gali Atari, winner of the 1979 contest, to perform Hallelujah (Israel 1979). Wonder Woman star Gal Gadot will be appearing in the Grand Final, but in which capacity is still being kept under wraps by the production team. 1998 winner Dana International will take to the stage in the first Semi-Final and the Grand Final. The song that she will sing—still a surprise!—is being described as ‘powerful’. The first Semi-Final on 14 May will be opened by Netta with new version of her winning song Toy and a new single that she is expected to release at the end of April. Israeli singer-songwriter and musician Idan Raichel will be on stage during the Grand Final on 18 May with 24 singers and musicians, performing the song Bo’ee – Come to Me. At the end of the act, Idan will be joined on stage by all 26 finalists. Madonna has also been previously announced. Israeli broadcaster KAN has also released today a video with the animation of the stage. To be held at the Expo Tel Aviv it features two large conceived triangles fitting with the star image as part of the “Dare to Dream” theme.